Having trouble recruiting and retaining association members? You may be the minority. The average retention rate is a whopping 85% for trade associations, and member organizations enjoy a 76% retention rate. If you’re seeing a decline or stagnated growth, it’s time to do something differently. So why do members decide not to renew? 37% don’t renew because an employer stop paying for their membership. These members may have found your association valuable, but not valuable enough to pay for it personally. There’s little you can do to prevent this, other than continue to provide as much value as possible for the cost. 33% left the field. Unfortunately, not much can be done to change this. A former lawyer isn’t going to continue paying dues to the state bar association, for example. 49% aren’t engaging enough with the organization. You can change this. To prevent this lack of engagement, communicate often and provide services members will want to utilize. To begin with, ensure your association offers benefits that professionals are seeking. Then, be sure to frequently remind current and potential members of these benefits. Consider events, for example. Many associations are known for their professional events. If you’re not hosting events already, consider expos, lunch and learns, or webinars as a selling point. Work continuously to enhance these events. Include fresh speakers and interesting topics to draw in attendees. This is a great way to gain both credibility and recruit new members. Additionally, consider allowing members to bring a free guest to convince someone new to join the association. Use your event registration forms as a way to capture lead information. In exchange for someone’s access to a webinar, for example, have them provide their contact information. This gives you a new lead and permission to contact them. Other benefits you can offer include education, certifications, group insurance, emails, and complete access to the association website. Further, it’s not enough to offer all of these benefits, you need to communicate them, and often. Make sure your website is consistently up-to-date on the latest news, events, and other offerings. Throughout your forms of communication – from your emails to your website – emphasize what you provide that no other organization can. Offering referral programs and member drives can be great ways to convince current members to recruit new members. Incentives may be financial, for example, like offering discounts on renewal fees and tickets to association events. Referral programs may be implemented year-round, but if you really want to drive recruitments, a member drive can bring out members’ competitive side. Offering a drool-worthy prize to members that recruit the most new members will be sure to encourage many to recruit their friends. One of the best ways to improve your association is to ask for and receive feedback. Feedback will tell you what you’re doing right and what you’re doing wrong. Some members may even offer some really helpful suggestions. If a solution can be reasonably be implemented, then go for it – and be sure to broadcast it to your members. This shows that you listened to their needs, and the reaction will be positive – they may even tell their friends about it (meaning some new members!). Feedback is also especially valuable from new members; they’re the ones most at risk for non-renewal. Consider a loyalty assessment to determine your new members’ feelings about the association. It’ll help you determine why some stay on and why some don’t – you likely won’t receive an answer as to why they leave once they’re already gone. The best time to target such an assessment is about 6-9 months in. Ask general questions – it’ll provide you a vast variety of answers. A good question to ask, for example, may be: “What are they trying to get out of being a member of the association?” You can then find out in additional questions whether or not these needs are being met. This will help you ensure that your association goals align with that of the members. Offering a personalized experience is another great way to keep current members engaged. Just consider the statistic that emails are 22.2% more likely to be opened with a personalized subject line. Using the member’s first name in both the subject line and body of the email will make the member more likely to pay attention to it. Also consider providing a professional member kit and card. This will serve both as a way to make new members feel welcomed and remind them of the new benefits they have access to. Have them use their personal card to access their benefits, keeping the association top-of-mind all year long. If possible, strive to have top-level organizers and members of the association meet with new members. Answer their questions. Discover their story and why they joined your association. Although this task may be difficult to achieve, it may be mutually beneficial and shows that the association has an interest in members individually. One frequent reason for non-renewal is that members simply forget. It will likely take several reminders before convincing the member to take action. Set up reminders early and frequently, pointing out the benefits they’ll miss out on if they allow their membership to lapse. Preventing lapses in renewals entirely will greatly improve your retention rate. It’s much easier to convince a member to stay, rather than come back, even if the reason for non-renewal is as simple as absent-mindedness. It takes hard work to achieve member growth for your association, but as long as you consistently remember the needs of members – through the collection of feedback, personalization, events, and more – you’ll be sure to keep current members happy, and create interest among potential new members. 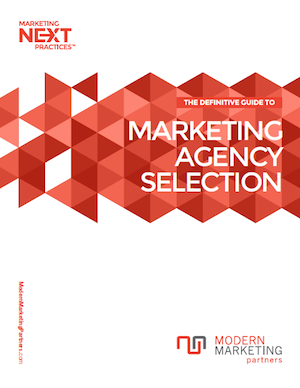 Request a complimentary association marketing assessment from Modern Marketing Partners, via the MMP contact form.